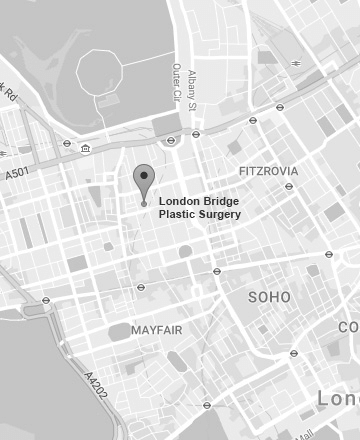 London Bridge Plastic Surgery & Aesthetic Clinic has a wide variety of light therapy and aesthetic lasers to restore aged and environmental damaged skin. We aim to achieve a natural and aesthetically pleasing youthful appearance. This is achievable with minimal down time and is a fast, safe and effective treatment. Why suffer from unwanted thread veins and pigmented lesions? We are able to restore the skin to a more youthful appearance and a much smoother complexion using state of the art technology to ensure a safe and effective treatment for thread veins, pigmented skin lesions and haemangiomas. It is now possible to reverse the effects of aging and environmental damage. These are areas of superficial, overgrown and enlarged blood vessels. They vary in size and colour, ranging from red to purple to blue – our up to date IPL and LASERs target the blood vessels to effectively and safely treat theses lesions. How and why do they appear? These appear through excessive sun exposure, congenital, oral contraceptives or through the natural aging process. These are a collection of melanin pigment in the skin often know as liver spots, freckles or brown birth marks. These are congenital or acquired through excessive sun exposure over time. We have a number of lasers and light therapies tailored to target your specific problems. The appropriate treatment will be discussed with you at your consultation. The KTP Aura treats red thread veins through a series of laser light pulses which are absorbed into the blood causing the vessels to collapse. The treated area over time (2-4 weeks) returns to the natural colour of your skin. The Lyra ND yag laser targets the blue to purple veins. It is effective for those unsightly leg veins which are found deeper in the skin. It is effective for all skin types and works similar to the Aura KTP laser whereby a series of pulses are delivered through the skin and into the vein. This collapses the vessel walls and seals the veins shut. The sealed vein is then broken down and absorbed by the body. Pigmented blemishes act in the same way whereby absorbing the pulses of light and dispersing the melanin pigment. These are slowly absorbed into the body and after a number of treatments (4-8) your skin returns to its natural colour. Pigmented lesions are treated with our KTP or our IPL machines. Discomfort varies depending on the size, depth and location of the vein. The Lyra penetrates deeper into the skin and local anaesthetic is provided for large and more sensitive areas. The Aura and IPL are virtually painless at times may it feel like a tiny pin prick on your skin. Local anaesethic topical ointment is available if required. All of our patients are seen by one of our Surgeons for an initial consultation. The light therapy is performed by one of our qualified registered nurses who have had specialist training in light and laser therapy.